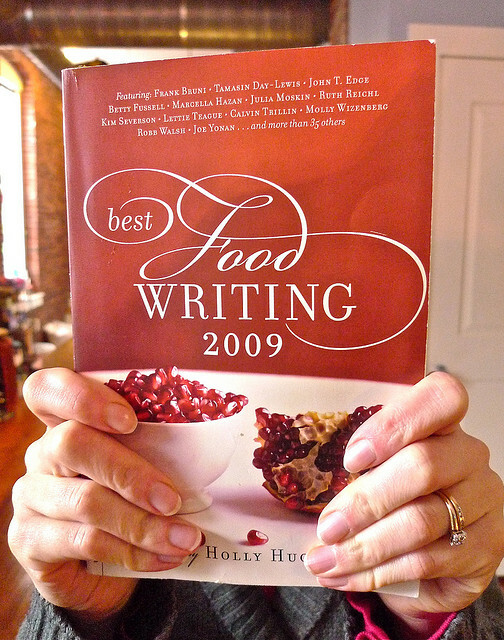 As I’m a huge foodie AND an aspiring writer, I yearn to strengthen my food writing skills. So I attended the Extreme Food Writing Makeover at Vida Vegan Con with cookbook author Dynise Balcavage, cookbook author and Urban Vegan blogger. I’m quite opinionated and loquacious (what, me??) so I tend to write on and on. What can I say, I’m chatty. Balcavage provided unique insights and concrete examples on infusing brevity (one of my nemeses) into writing to make it more compelling. Find your own voice and style. Write using less words and more clarity. Does my writing reflect my personality? Paint a picture, cook a meal, create surround sound, recreate an experience. Nigella Lawson is a fantastic food writer and talks about touch in food. “So what?” test – so many venues competing for your attention, but a blog isn’t asking you to commit hours of time but people still have to commit. You need to grab their attention. Often people just look at the picture and the first sentence or two. Adverbs are like MSG – they’re overused and often unnecessary. If you feel you need an adverb, maybe you need to describe it more. Tags: food writing, vegan, Vida Vegan Con. Bookmark the permalink. Pingback: Pies/Hearts/Tarts & an Interview with Dynise Balcavage | Get Sconed!